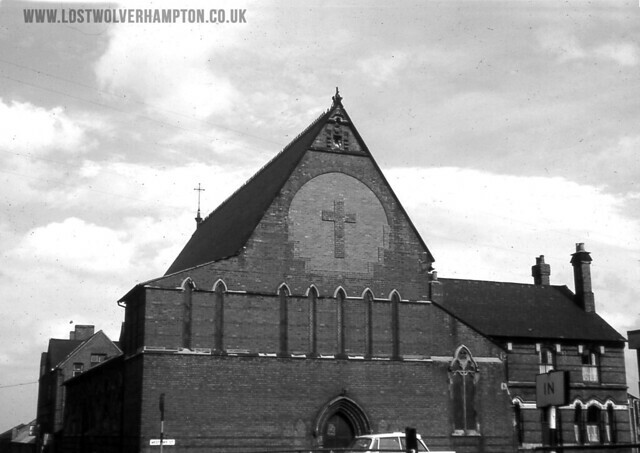 Frontpage › Forum › People & Places of Wolverhampton › "PLACES OF WORSHIP" Wolverhampton Churches. This topic contains 6 replies, has 1 voice, and was last updated by Billy 4 years ago. 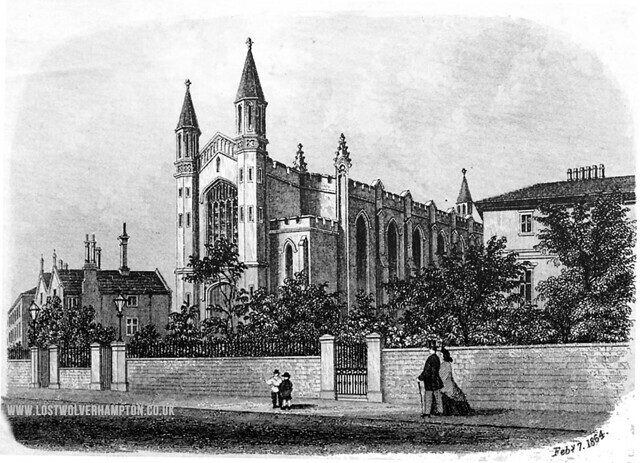 The story of Giffard House, and the adjoining chapel of St Peter and Paul, with its Catholic Infant and junior schools , would feature quite frequently in the history of my family over the years. 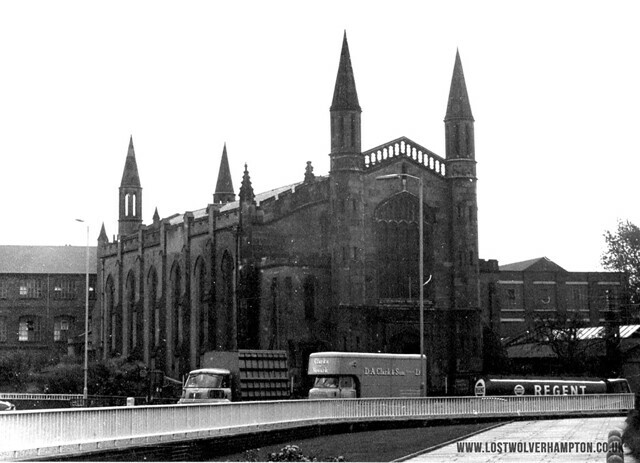 My father’s family were strong Catholics, and living just off North Street, all attended the Church and School. When my father married, although my mother was Protestant, they still had their marriage there in 1936, and all of dads family did likewise. 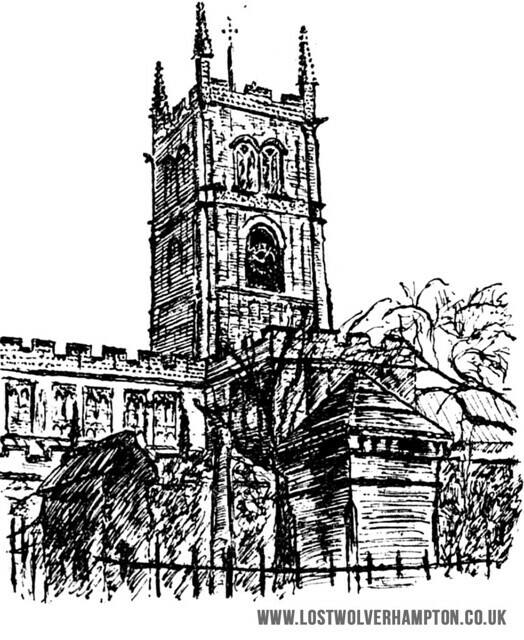 My first visit to St Peter and St Paul, was at the age of seven in 1944; the occasion being dads sister, Josie’s wedding. I was there again the following year, this time for the wedding of dad’s youngest sister Doreen.to Dennis Cooke awaiting demob. 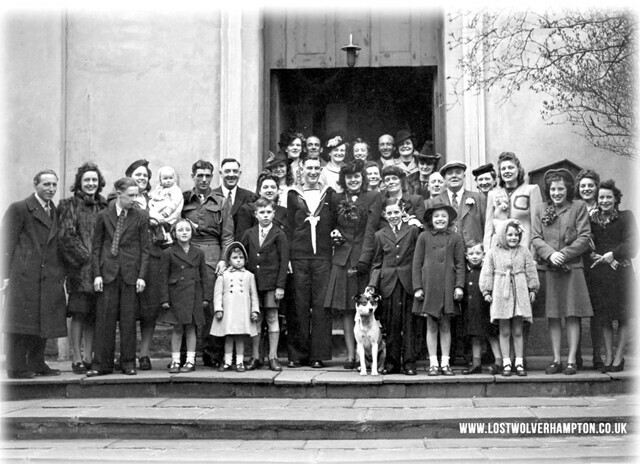 The Wedding party of my aunt Doreen, outside on the steps of Ss Peter and Paul in 1945. For one reason or another. 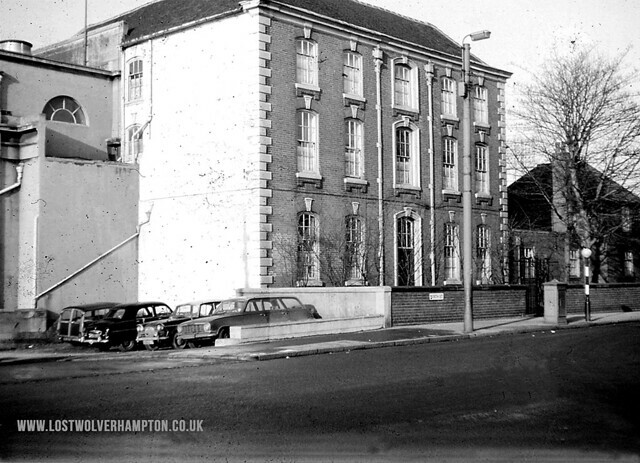 the early part of my education ,starting in 1941, took place close to where we lived at Red Cross Street – a Church of England School; but when I was eleven, and had to go to a senior school, I chose to go St Joseph’s, a Catholic Boys School, in Steelhouse Lane. During the next two years, seen, by the visiting priests from both – St Patricks and St Peters and Paul, as a new convert to the faith, I was offered by them, a more than liberal share of religious education. I soon became a choirboy and altar server at St Patrick’s Church , where Father Rooney, was Parish Priest,but also on occasion, served on the alter at St Peter and Paul’s, with Father Kavanaugh. It was during this period in time that I would visit Giffard House, the most fascinating building I had entered to date. A junior priest at the church Father Connefry, was to take me on a course of religious studies. I’ll never forget the first time I knocked on the oak front door, and on entering into the large hall, I saw this huge staircase that seemed to go up and up, and disappear into the roof . Later, Father Connefry would show me all over this ancient house and at the top of the stairs, was this large attic room, where there were stored items of all descriptions from the past, including antique pictures , old firearms and fascinating objects of all types of memorabilia. But the one place I would later visit and never forget, was below the Church itself, to enter a tunnel and gaze through the glass partition into the crypt ,where the remains of John Milner, The Catholic Archbishop lay. 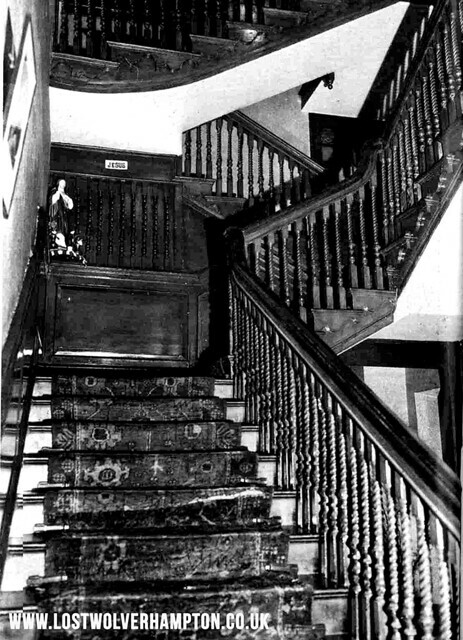 The magnificent Giffard House Staircase first seen by me in 1949.
its hard to imagine any one would wish for either of these historic buildings to be demolished. “The Town Council has received an application from the agents of this Roman Catholic Archdiocese, who want to replace it with a four story office block”. 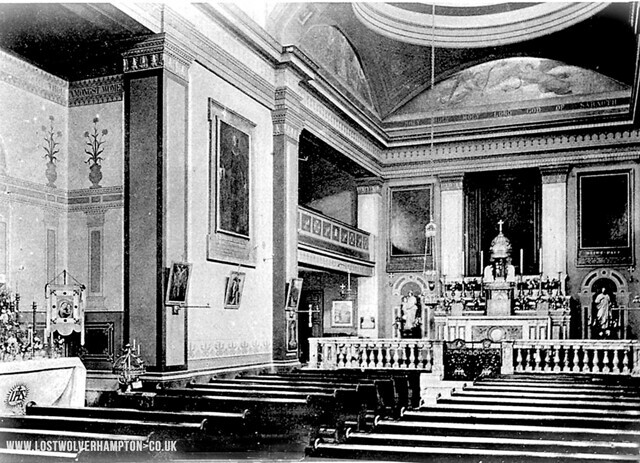 A 1920’s view of the magnificent interior of Ss Peter & Pauls Church Paternoster Row North Street Wolverhampton. St Patricks Church unfortunately stood in the way of the ring – road. I have many fond memories of St Patricks and the resident Catholic Priest for many years Father Rooney. Especially his fondness for Snuff, and his never ending raffle tickets sales. To This What do you think was it worth it!